Discussion in 'General' started by 3rdman, Sep 7, 2001. Thought it might be interesting to post this here. Seeing as though we are all SEGA fans, what system (PS2, NGC, Xbox) will you be picking up? For me, the thought of missing out on the next Jet Set Radio and Panzer Dragoon were enough to make me pre-order the Xbox. (Of course there are other reasons but these are my most anticipated games) I might pick up a NGC sometime next year... maybe. As far as the PS2 is concerned...probably never...Just don't like it. How about you guys? BTW, have you guys seen DOA3? WOW! Dunno, only time (and games) will tell, but I'm guessing the big, bad Box. And like Zero 9, that'll prolly be much, MUCH later also. MasterAkumaMatata, For someone who has an answer to everything...I can't tell if you're joking. LOL. Well, almost everything . Everything is determined by chance, remember that. I've been to that site before, but I've never took the liberty to bookmark it. I visit message boards more than any other type of sites out there. Also, I happen to love those types of sites where they throw out a lot of numbers and technical terms at you. Once you've read enough of it, you'll either get a headache or get enlightened. I won't get anything at this time. a gamecube later, although I don't like the fact that I'll have to shell out 200$ extra for a YUV->RGB converter, unless I buy a complete new TV. I'm getting a Sega CD in two weeks. Hopefully a Dreamcast in about a month (for my birthday ), I want to get a PS2 (take a wild guess why ). and something deep inside me urges me for the XBOX, and yet I don't know what. I'm only interested in GameCube, because it marks the LONG awaited return of one of the greatest game characters and greatest Nintendo character ever: Samus Aran. Metroid Prime is the only reason I would want a GameCube. As for Metroid IV, I'll just get a GBA emulator, and the ROM when the game is released. 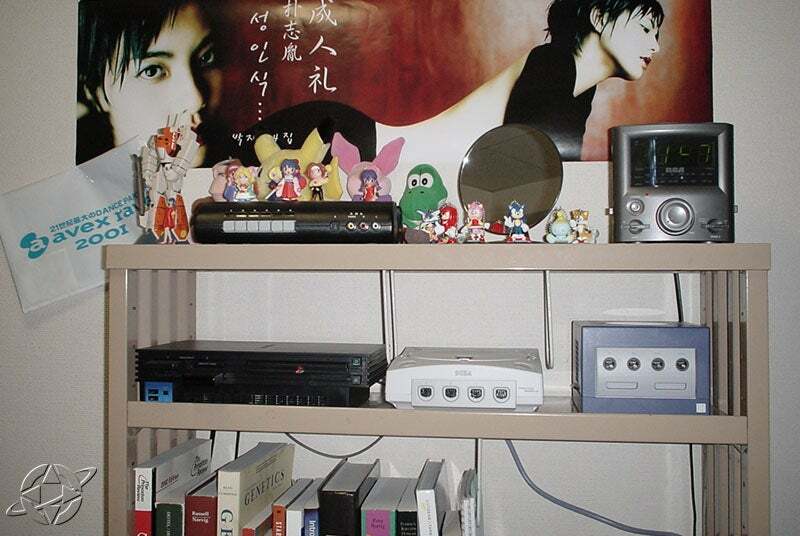 anyway, back to the subject, i will probably get a gamecube the soonest, although who knows how soon it will be. I mostly just want the new zelda game and that doesnt come out for a while. I will also look into an Xbox mostly because of Halo. The price factor is big with me though, and gamecube looks mighty inviting with its $200 starting price. I'm not getting X-Box or GC at launch due to general lack of money, and because Nintendo usually doesn't have the must-have games out until the second generation. PS2, barring a massive price drop, isn't in the near future either. It may be, though, that the first system I get after finding some income will be a Turbo Duo . I can't believe some of you! How can you even consider a XBox? Tut Tut! It's GameCube all the way for me. With Nintendo, Sonic Team (Exclusive!!! ), Capcom (RE 0, 1, 2, 3 and 4: all exclusive) and Namco and a few others developing for the GC, its just going to own. It's cheaper, its a console rather than a mini pc and its not made by either Microsoft or Sony! I know its ultimately the games that will make you buy a system, but I can happily survive with Mario, Zelda, Sonic, NiGHTS, RE, Tekken 4 and Soul Calibur... and lets not forget SSX Tricky, 1080 2, Rogue Leader, Pikmin and Super Smash Brothers Melee. Seeing the picture ngc should be called lunchcube. The next console I want is a sega nomad, now that I finally have a sega cdx! I'll definitely be getting an X-Box. The Saturn and Dreamcast are my 2 favorite consoles and it looks like most of the developers for those systems will be making games for the X-Box. Have fun playing Mario and Final Fantasy while I play DOA3, Panzer Dragoon?, and Halo! Actually Soul Calibur 2 is going to all three consoles. I'm getting both a Game Cube and an X-Box. I love games, and I don't want to miss out on any. And I'm luck enough that I can afford it. I'll definitely pick both up on the US launch dates, and I'll probably import a Panasonic GC as soon as they become available. What I REALLY want right now though is a NEC PC-FX. I'd be psyched if I could get one of those.